Abstract - Although a university may teach a formal course in ethics and professional issues, not all students will engage with the notion of ethics. This paper discusses how ethics can be embedded in a computer architecture course by means of asides; for example, when teaching memory access times, the notion of over-clocking PCs to enhance their speed is introduced. I ask students to discuss whether it is ethical to operate a computer beyond its design specifications. They often say “yes” until I ask them whether they would over-clock the computer controlling a nuclear reactor. This topic introduces the notion of a designer’s obligation to the community and the need to appreciate failure modes. Embedding ethical and professional considerations in this way has many advantages. It is an excellent teaching tool because it acts as a buffer between slices of dense academic material and allows students to relax. It reinforces the material being taught by providing real-world examples. Most importantly, it introduces professional considerations into topics such as computer buses and their protocols. Index Terms – Computer science education, Curriculum development, Ethics, Professional issues. Organizations such as the IEEE Computer Society and accrediting agencies require computer science students to be aware of professional and ethical issues. The Joint CS/ACM Computing Curriculum 2001 very clearly states the requirements for a professional dimension in the curriculum by stating, “Undergraduates also need to understand the basic cultural, social, legal, and ethical issues inherent in the discipline of computing. They should understand where the discipline has been, where it is, and where it is heading. They should also understand their individual roles in this process, as well as appreciate the philosophical questions, technical problems, and aesthetic values that play an important part in the development of the discipline. Students also need to develop the ability to ask serious questions about the social impact of computing and to evaluate proposed answers to those questions. Future practitioners must be able to anticipate the impact of introducing a given product into a given environment. Will that product enhance or degrade the quality of life? What will the impact be upon individuals, groups, and institutions? Some universities provide complete courses in ethics and professional issues. However, not every student taking such a course will engage with the notion of ethics. If the course is taught too early in a student’s curriculum, he or she may not be able to relate it to their chosen profession. On the other hand, some students will regard a course in ethics and professional issues as just another hurdle to overcome on the way to a degree. Some universities do not teach ethics explicitly, but claim to distribute ethics throughout the curriculum. There is anecdotal evidence that not all teachers really do follow this practice; that is, lip-service is paid to the notion of teaching ethics, but little actually happens in the classroom. It is said that students learn surprisingly little during formal lectures . Certainly, any teacher will tell you that many of their students learn only when they are in problem-solving classes working with their colleagues. It’s only at this stage that the students realize what they know and what they do not know, and what they have to do to apply the knowledge they have acquired to the solution of real problems. However, we should not simply abandon all lectures and just give up because conventional lectures have been shown to be inefficient. There’s a lot we can do; for example, we can put the student at the center of the learning process by promoting active learning. In this paper I discuss how a form of active learning can have significant advantages in a computer architecture class by providing a forum for discussions on professional issues. I teach computer architecture in a department where all the other courses are software-oriented and students see themselves as getting jobs in the business or multimedia worlds. Many of my students taking a degree course in computer science feel that my computer architecture course is pointless – they will never design computers and they want to take subjects that they feel will help them prepare for work in the computer industry. Moreover, some students find the course rather impenetrable because of the math in, for example, calculations involving pipelining or cache memory access times. When many of the students are obliged to take my course as part of their core material, a straight hour of solid lecturing can be painful for the students, demoralizing for the teacher, and largely a waste of time. Of course, I try and engage the students in a two-way exchange of ideas and get them to talk about topics such as instruction set design, but that is not always enough to overcome the intrinsic problems of the lecture. As well as involving students in the lecture by creating a dialog, I use a break or aside between sections of the lecture to give the students a rest; the effect of the break is to reset the atmosphere and lighten the mood. Students have a lot to learn while at university and they often find the burden difficult to bear. Anyone who has ever taught undergraduates will be familiar with the cry, “But, is this going to be in the exams?” All too often a student’s attention is proportional to the probability that a topic will appear as exam questions. It is vitally important to get students into the habit of learning and to help them appreciate that passing exams is only a milestone on their path to a profession and not a goal in itself. One of the first elements of embedded ethics that I introduce is concerned with student motivation. Motivation, as such, is not a component of traditional professional codes of practice, although the British Computer Society, BCS, stresses your duty to both your client and to society. Motivation is at the heart of professional conduct; an engineer who is motivated is more likely to succeed than one who is not. I try and increase a student’s desire to learn more than the minimum necessary to pass the exam, by describing situations where people extricated themselves from difficult or dangerous situations because they applied their knowledge in a way that went beyond the bounds of the curriculum. My motivational asides are often taken from the world of aviation – partly because I am a pilot myself and partly because students can relate to dramatic life-or-death situations in the air. I sometimes tell my students the true story of a light aircraft, a Cessna, that was hopelessly lost over the Pacific Ocean without any navigation equipment as sunset was approaching. It was highly probable that he would have to ditch in the Pacific with little chance of being picked up, even if he survived the ditching. For all practical purposes, the Cessna pilot had only a VHF (line-of-sight) radio with a 200 mile radius with which he made a distress call, and a compass. An Air New Zealand DC10 picked up his distress call and the captain decided to hunt for the light aircraft – without any obvious means of locating it . At this stage, I ask my students, “What do you think the DC10 captain did?” Invariably, they are completely clueless; even pilots are not taught what to do in such a situation. I explain how the Air New Zealand captain went back to first principles (the purpose of this aside is to demonstrate how going back to basic principles can help you solve a problem that you have never encountered before). The DC10 captain turned his aircraft to face the sun and asked the lost pilot to do the same. The DC10 reported the direction of the sun as 270º and the Cessna gave a bearing of 274º. This meant that the Cessna was to the south of the DC10, but it didn’t tell the DC10 captain whether the Cessna was to his east or west. So, the DC10 asked the Cessna pilot to hold his hand out and say how many fingers the sun was above the horizon. The DC10 captain measured the sun two fingers above the horizon and the Cessna saw it four fingers above the horizon. If you think about it, the higher the sun in the sky, the closer it is to noon so the local time for the DC10 was later than the Cessna’s local time. This put the Cessna to the west of the DC10. Now that the relative positions of the two aircraft had been established the DC10 pilot flew towards the general direction of the Cessna and recorded the points at which the Cessna’s radio began to fail. 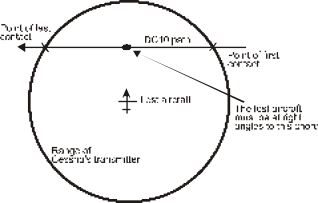 Figure 1 illustrates how, by flying along a straight line, the DC10 could determine a chord in a circle whose radius is the 200 mile transmission range of the Cessna. The DC10 flies in a straight line and the point at which the signal is first received and the point at which it is no longer received defines a chord. The DC10 then reverses track, flies to the center of the chord and turns at right angles to fly along the diameter. In this way, the Cessna was located and escorted to New Zealand. I use this example because it is interesting; students with no knowledge of aviation can follow it, and it demonstrates sheer human ingenuity. The point I am attempting to make is that by understanding all aspects of their profession and by thinking about ‘unusual circumstances’ they are in a better position to solve real-world problems than those who lack in-depth understanding of the world they inhabit. My architecture course covers the data, address and control buses that distribute information between functional units in a computer. The computer bus provides a fruitful area for introducing professional aspects as an aside. In a typical computer architecture course, one of the key aspects of buses that we cover is the protocols that define their operation. A system with more than one potential bus master must implement an arbitration mechanism to handle multiple near-simultaneous requests for attention. This allows me to discuss the ethics of prioritization. Typical texts describe various arbitration algorithms such as fixed, priority, and round-robin. The very nature of arbitration presents an opportunity to discuss the options and the consequences we face when making decisions. After introducing some of the arbitration options available to the designer, we look at the applications of computers and discuss their characteristics. Safety-critical systems can be used to demonstrate the need for prioritization (e.g., an important event in a chemical process or a nuclear reactor may have to be dealt with immediately). However, such prioritization leads to unfairness where a low-priority task can remain in a wait state for an arbitrary long time if higher priority events always take precedence. This introduces students to the concept of fairness in arbitration (or in any system where there is competition for resources). These discussions are intended to illuminate academic points, but they also show students how they will have to make major design decisions and that their decisions may have an effect on society. Another aspect of buses that can be used to introduce an aside is the notion of standardization; bus protocols, such as the PCI bus, become international standards with documents that precisely define their operational characteristics. An aside on standardization provides a class with the opportunity to discuss the benefits of standardization (e.g., inter-operability and the advantage of multiple vendors of buses) and problems, such as the need to compromise performance and to accept older technology. All digital devices operate in a particular environment defined by factors such as ambient temperature, supply voltage and clock speed. The operating parameters of a particular digital device are determined by its manufacturers and are published as part of its specifications. A manufacturer guarantees that a component will operate according to its specifications. In general, a digital device will operate somewhat beyond its minimum guaranteed specifications because failure mechanisms are soft rather than hard; that is, as you exceed guaranteed parameters, the probability of failure increases as you move further and further from the standard. In particular, you can operate a CPU at a higher clock rate than its minimum specification. Because the price of cutting-edge processors tends to go up exponentially with clock speed, there is a strong incentive to operate a processor beyond its design specification; running a 3.6 GHz Pentium at 3.8 GHz can save you a lot of money. This action is called overclocking and is actually supported by chipboard manufacturers who allow the user to vary parameters such as processor core voltage and clock rate beyond the guaranteed specifications. In one of my courses I cover memory access times and clocking considerations. As an aside I discuss the notion of overclocking. My students are aware of overclocking and often use it to enhance the speed of their games machines. I ask them to discuss whether it is ethical to operate a computer beyond its design specifications. They invariably say “yes” until I ask them whether they would overclock the computer controlling a nuclear reactor. Overclocking introduces the notion of a designer’s obligation to the community and the need to appreciate failure modes. Some might imagine that it’s difficult to introduce ethical concepts into fundamental topics such as binary number representation and arithmetic. It’s not. One possible entry point for an ethical aside is the impossibility of converting a decimal fraction such as 0.1 into an exact binary representation – and its consequences. Students often find it amazing that there is no exact binary representation of the decimal fraction 0.1. They are even more surprised when I explain how this led to a loss of life. This example demonstrates that a failure to understand the implications of a topic as mundane as binary arithmetic can have terrible consequences in real life. I explain that we do not teach binary conversion (and range, precision, and accuracy) simply because it’s there, but because an understanding of these concepts is required by anyone who designs or implements digital systems. Another aside that could be used when discussing binary arithmetic is the Pentium bug (an expensive design flaw that cost Intel a lot of money because of a failure in the implementation of the floating-point unit of an early Pentium processor. Initially Intel tried to deny and then play down the effects of the bug on real programs, but Intel was soon involved in a public relations disaster that forced them to offer free replacements to those who had purchased the flawed chip. Some architecture courses cover input/output devices and I/O technology as well as the CPU and memory devices. Asides that describe the failure of professional responsibilities due to poor interface design in the aviation industry can be introduced via a series of incidents involving commercial aircraft with a major loss of life. A typical incident that can be used as the basis of an aside is the crash of an A320 Airbus at Strasburg in 1992. On the approach to the destination airport the crew intended to select a gentle descent with glide slope of 3.3º. The aircraft’s flight management system operates by inviting the crew to first select the value and then the units (it’s programmed in very much the same way you program a VCR). Unfortunately in this case, the unit selected was feet-per-minute rather than degrees. The aircraft then descended at a colossal 3,300 feet per minute rather than at a gentle 3.3º angle and crashed into high ground killing all the crew and all but six of the passengers. The crash involved an error by the crew followed by a failure to monitor the aircraft’s progress (a lack of situational awareness). However, there was also a failure of imagination by the design team who did not anticipate such a problem. Clearly, the two descent modes should have been made more distinct and the crew should have been actively warned that they were selecting a potentially hazardous mode. The important ethical aspect that this aside is intended to teach is that the designer should be able to identify possible modes of potentially disastrous misuse in the system he or she is designing. Another topic that allows me to introduce an interesting aside is instruction set design, because some engineers have discovered that particular processors will execute machine-level instructions that are not defined in the processor’s published instruction set. A processor like the Motorola 68K (now renamed as part of the ColdFire family of embedded processors) deals with illegal op-codes by generating an exception and letting the operating system deal with the problem (often caused by a faulty computed jump). However, some early first-generation 8-bit machines did not trap illegal instructions in order to allow the operating system to implement a recovery mechanism. Some machines were implemented with random logic and each binary pattern caused something to happen within the processor. Of course, attempting to execute an undefined bit pattern would often cause the system to crash or to hang up. Several enthusiasts (in those pre-Internet days they were called hackers and the modern meaning of hacker was not in common use) experimented with illegal op-codes and tried to work out what they actually did. Indeed, these illegal op-codes were referred to as undocumented instructions. Note how the term undocumented appears so much more benign than illegal and carries the implication that such instructions were designed and implemented – but the chip manufacturer didn’t bother to include them in the chip’s specification sheet. I remember one processor that had a so-called undocumented instruction that came to be known as HCF (halt and catch fire) because, when the processor encountered this bit pattern, the processor went into a halt mode and the address bus cycled through all possible binary patterns sequentially. The notion of undocumented instructions allows me to ask students whether they, as future designers, would take advantage of a processor’s undocumented features (this is analogous to over-clocking). Some students tell me that it is ok to use any available resource to solve a problem. Such a response is understandable, but it comes from a lack of understanding of the nature of the semiconductor industry. How many textbooks explain that a particular chip is guaranteed to conform to the specifications in its documentation but it is not guaranteed to behave exactly like an earlier version with respect to aspects that are not documented? Throughout the life of a processor, the design and organization of a silicon chip may change radically as semiconductor technology and computer organization advances. Consequently, if you write software that relies on an undocumented feature, a later version of the chip may fail because that feature may no longer be implemented. I tell my students that in the 1980s I once met a professor who knew someone who used undocumented instructions in his work. The work? The guy wrote software for missile guidance systems. The problem of undocumented instructions is less relevant today because advances in computer organization and implementation make it impossible for engineers to execute undefined op-codes. However, the principle is still perfectly relevant. Computer architecture and organization courses cover storage technologies ranging from static RAM to hard disk to CDs and DVDs. Storage technology, by its very nature, provides an excellent opportunity to introduce several ethical issues such as encryption, security and intellectual property rights. Recording technologies have given us the ability to store truly staggering amounts of data in a small volume at a very low cost. This means that a modern large hard-disk drive can store over 1,000 music CDs (or over 5,000 CDs if compression is used). Such high-density, low-cost storage makes it is easy to store large amounts of copyrighted material illegally. This topic allows students to discuss the ethics of intellectual property rights and the rights and wrongs of recording copyrighted material. Copyright issues can be dealt with as a series of topics that cover some of the following issues. The significance of modern digital copying technology (digital copying creates perfect copies, whereas analog recording techniques create successively degraded copies). The history and ethics of copying. The possible abuse of copyright protection by some powerful commercial organizations. Service providers are expected to remove material from users' web sites that appears to constitute copyright infringement. Requires that webcasters pay licensing fees to record companies. The aspect of the DCMA that most affects students is that it is now an offense to circumvent anti-piracy measures. This means that it is illegal to decrypt encoded information. Moreover, it is illegal to write software or create hardware that performs unauthorized decryption. At least one non-US academic has been arrested at a conference in the USA when giving a paper digital on security and decryption (he was later released). Students can immediately appreciate that their own activities could lead them into conflict with the law. Other possible areas for debate are the potential extensions of the DCMA; for example, analog systems are currently not affected, which means that it is possible to play a CD (or DVD) and capture and record the analog signal. Some would require that an analog signal, corresponding to a watermark, be incorporated within the analog output and that all commercial analog devices (amplifiers, cell phones etc) be designed not to process copyrighted signals. Equally, there have been suggestions that devices such as hard disks should be designed so that they will not store copyrighted information. these issues relate directly to student lifestyles. I was introduced to some of the finer points of patent law when asked to be an expert witness in a legal battle between Intel and the Korean motherboard manufacturer VIA. This made me interested in the theory and practice of patent law and the way in which commercial organizations are able to exploit patent law for commercial advantage rather than using it to legitimately protect an invention. Most students probably rarely think about patents. This is not surprising because computer architecture text books do not dwell on this aspect of computer design. I explain to students how patents arose and how they are intended to protect an inventor in return for the inventor agreeing to teach the invention by describing it in a publicly available patent. I explain that students need to be aware of patents. I also point out that patents can, in my opinion, be exploited by using them to prevent a manufacturer carrying out their legitimate activity. For example, a competitor can claim that a company infringes their patent (when there is no real material infringement) and tie up a competitor in legal actions for months. The legal action might require the defendant’s top engineers to appear in court and therefore the legal action becomes a cynical means of delaying a competitor’s innovations. The techniques I have described are spread across several courses over different years of study, ranging from the freshman (first year) to the senior (final year) student. Feedback solicited from students is both anonymous and non-specific (i.e., the same questions are asked of students taking all courses). However, the feedback I obtain shows two trends. The first trend is that students feel very strongly about my teaching methods, with some students strongly supporting them and some opposing them. From the context of the rest of the student feedback it appears that academically strong and well-motivated students appreciate and enjoy the approach described in this paper. Academically weaker students sometimes appear not to like this approach. They would prefer me to provide only the basic information that they can memorize for the exams. The second trend is that my approval rating rises dramatically as students progress to their final year. Support for my teaching is usually very strong in the final year. I have tentatively assumed that this effect is due to (1) Final year students are more mature and better able to appreciate the importance of ethical asides and similar approaches to teaching. (2) By the final year, many academically weak students have dropped out. Embedding ethical and professional considerations in this way has many advantages. It is an excellent teaching tool because it acts as a buffer between slices of dense academic material and allows students to relax. It reinforces the material being taught by providing real-world examples. Most importantly, it introduces professional considerations into topics such as computer buses and their protocols. This paper has provided examples of the use of ethical and professional considerations in computer architecture topics ranging from buses (the significance of arbitration), human-computer interfaces (the responsibility of the designer), to storage mechanisms (intellectual property controls). Hall, S, R, et al, “Adoption of active learning in a lecture-based engineering class”, Frontiers in Education), Boston, 2002. Stewart, Stanley, “Emergency crisis on the flight deck”, Airlife Publishing Ltd., 1992.